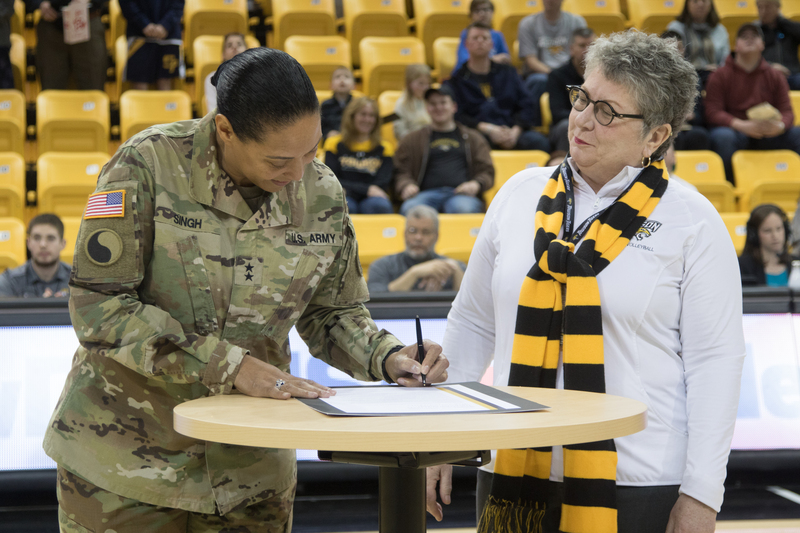 The Maryland National Guard and Towson University affirmed their partnership prior to the military appreciation men’s basketball game, with a signing of a memorandum of understanding that will provide new opportunities to both service members and Towson University students on Jan. 27, 2018. 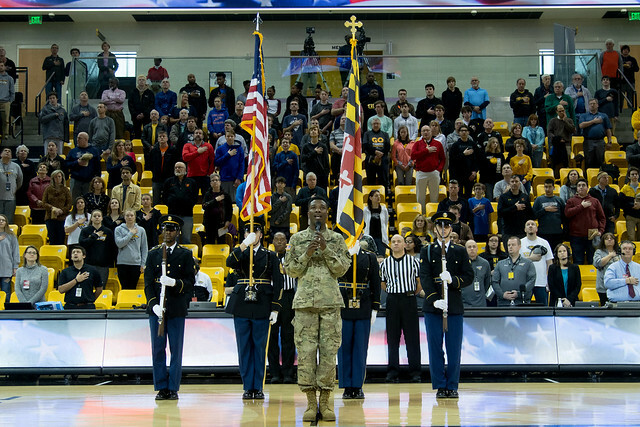 Prior to the game there was a series of speeches honoring Maj. Robert J. Marchanti. Pre-game activities began with the posting of the colors, the singing of the National Anthem, and the rappelling of the game ball. During the first time out the Marchanti family was present as the arena recognized the service and sacrifice of Maj. Marchanti. 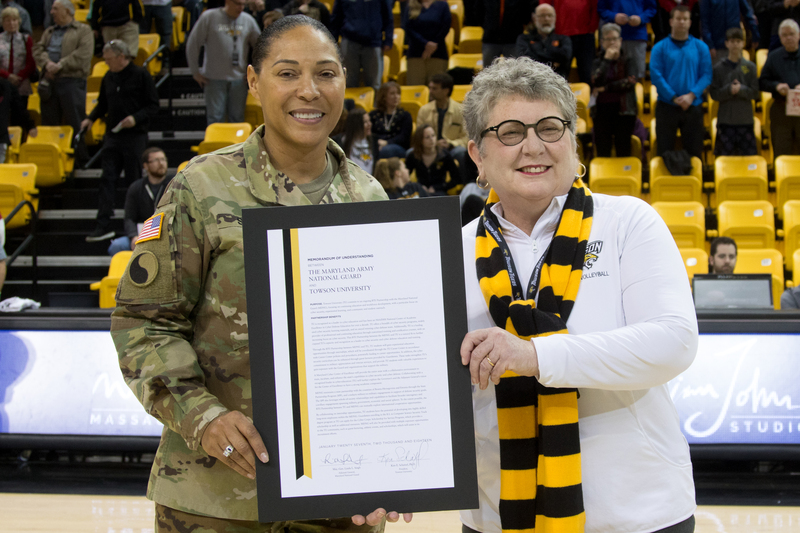 At half-time members of the Maryland National Guard were honored for their accomplishments. This partnership allows the organizations to focus on areas like cyber, said Singh.